We may not be able to get your product across space AND time, but we can still help to get it delivered SUPER FAST! Whether you are 20 miles or 3,000 miles away, Copycats will deliver your order on time. It’s part of what sets Copycats apart from the competition. We favor everyone, not just the big-time orders. Have an order of 500 discs? No problem: We’ll deliver it on time. Have an order of 2 million? No problem: We’ll deliver that on time, too. Copycats prides itself on delivering orders straight up. No hassle, no delay, no worries. Have your quote handy? Count on the price agreed upon to hold firm. Hidden fees are the dirtiest of words in the Copycats offices (and we have a lot of potty mouths). We give you accurate and rock-solid pricing for whatever package you’re looking for. If you’re on a strapped budget, your life just got a whole lot easier when you partner with Copycats. Are you searching for a company to deliver your next CD project? If so, look no further than Copycats. We specialize in CD delivery and all related services. We take care of everything from CD reproduction and fulfillment to all the nuts and bolts in between. Copycats is your one-stop shop for all your disc delivery needs! We realize it doesn’t make sense to ship your CDs elsewhere just to be re-shipped to you. This doesn’t help out you or us. We decided to incorporate fulfillment services to streamline your distribution. And what’s there to worry about? Copycats guarantees that your project will be delivered on time and on budget. 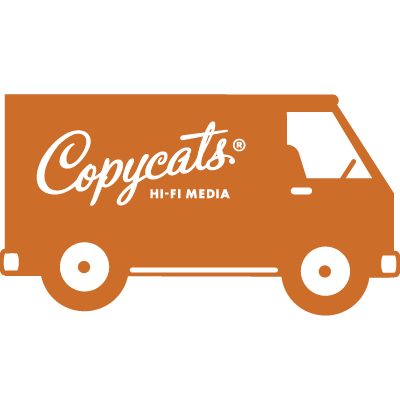 Copycats Media has been in the CD production business for almost two decades. This experience has given us a leg up on the competition. We’ve learned ways to cut costs and streamline our workflow so that the client saves money without compromising quality. Our entire CD delivery team is located under one roof — our customer service staff, engineers and designers work closely in cooperation to deliver every CD within the project’s timeline. We have worked on many CD production projects, from the garage band down the street to Grammy award-winning artists. We love helping out the already famous in addition to the aspiring artists; that’s what makes this industry great. Copycats can take on CD projects in any capacity; large, small and anywhere in between, helping you reach your goals — whatever they may be.